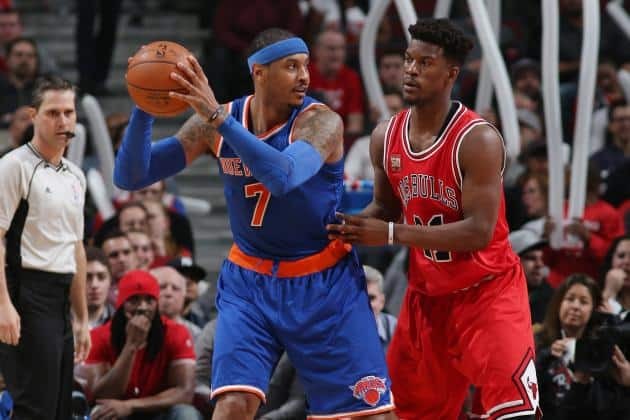 The New York Knicks travel to Chicago where they will face the Bulls who are looking pretty strong this season, with the likes of Rajon Rondo, Jimmy Butler and Dwyane Wade clicking right away which resulted in 3 back-to-back victories since the start of the season before falling to the Boston Celtics a couple days ago. The New York Knicks, however, still haven’t found their rhythm, coming into this game with a record of 1-3 and sit 4th in the Atlantic division. The Chicago Bulls enter this matchup as a -7 favorite, but considering the importance of the match, especially for Derrick Rose, look for a very exciting game!!! The Knick have seen a lot of roster changes in the off season but so far it has not made a positive impact!! !Key stats!!! The Knicks are another team that has failed to impress so far this season especially when it comes to winning games and scoring points, as they average only 96.8 points per game this season. They will also need to improve their play under the basket as they average only 49.2 rebounds per game and dish out a mere 19.2 assists per game. The team has to start pulling their weight real quick because they can’t always rely on Carmelo Anthony to bring them victories by himself. New York has been completely useless in defense so far allowing opponents 60.8 rebounds per game which puts them dead last in the NBA, also allowing 110.2 points and give up 23.5 assists. The Knicks will have to shake things up in both defensive and offensive departments real quick if they want to stand a chance! The biggest duel on the match will be the one between Melo and Butler!!! The Chicago Bulls have been pretty impressive this season and with star players like Rajon Rondo, Dwyane Wade and Jimmy Butler the Bulls certainly pose a threat to any team out there. The Bulls come into this game with a strong performance of 110.3 points, 52.3 rebounds and 26.5 assists per game, which ranks them at 4th, 2nd and 4th in the NBA respectively. They also play some tight defense and concede only 98.8 points per game on average, limiting scoring opportunities for their opponents. They are the best in the NBA when it comes to defending rebounds, allowing only 44.5 to opponents, as well as forcing 13 turnovers per game. The Chicago Bulls are a well-structured team in both departments and should have no trouble increasing their winning margin against the out-of-shape Knicks. The over/under Total is set at 209.5 points, but our prediction is that both teams combined will not exceed this plateau!!! Carmelo Anthony is obviously the player the Knicks will rely on most, averaging 21 points, 5 rebounds and dishing out 2.5 assists per game during 33 minutes on court. Like I’ve stated earlier, the Knicks will not be able to pose a credible threat if rely solely on Anthony, and will have to work as an efficient team unit. 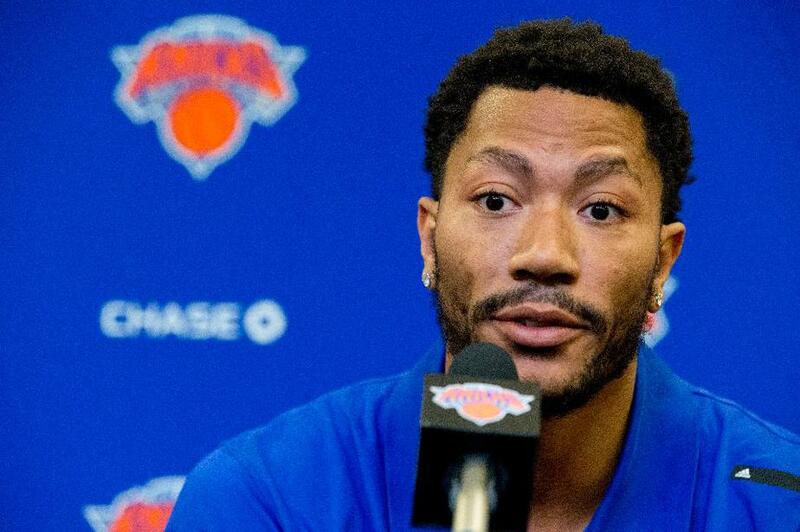 Derrick Rose will face his former team and it there is no doubt that he will look to impress and show that he is still capable of being a leader on the team. In 4 games this season, Rose has 16.3 ppg, 4.0 rpg and 2.5 apg while shooting just above 44% from the field!!! Kristaps Porzingis is one of the players that should use this season to mark himself as the future leader of the franchise. However, so far he has been mediocre producing only 14.5 ppg, 6.5 rpg and 0.8 apg!!! 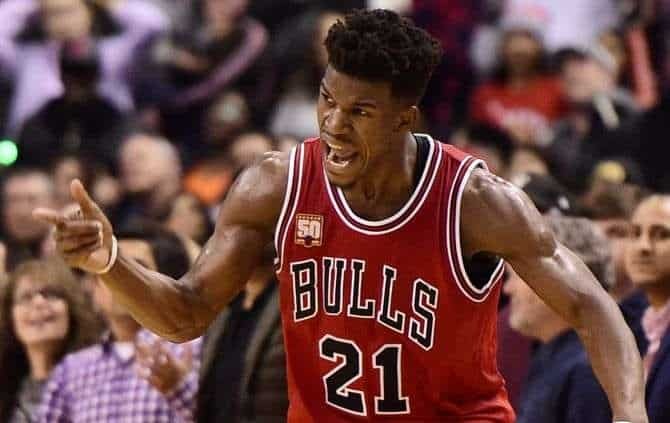 Jimmy Butler has done his job as the face of the franchise quite well so far!!! On the other side, Jimmy Butler has been leading the Bulls this season as he becomes the complete player that the Bulls need, averaging 21.3 points, 6.8 rebounds and 2.5 assists this year. He also has a 46% field goal percentage and 83% accuracy from the free throw line. Their veteran superstar Dwyane Wade has had more of a shy start to the season, averaging “only” 15.8 points, 3.8 rebounds and 3.8 assists per game. They do however work very well as a team and with a player like Rajon Rondo setting up their attacks no team in the NBA should underestimate them. This should be a very emotional game for Derrick Rose who faces his former team!! !